Eric Dinnocenzo has devoted his attention to representing policyholders and beneficiaries in life insurance cases and other bad-faith insurance denials, making him well-versed in issues such as material misrepresentations, lapses in coverage, and breaches of insurance policy terms. He also helps insureds in cases where there has been insurance agent negligence or fraud. This is an area of law where the firm’s extensive legal knowledge and sophistication can lead to highly favorable results for our clients. The Law Offices of Eric Dinnocenzo has significant experience representing employees in employment discrimination cases in New York and New Jersey courts. We represent individuals who have been fired or suffered another type of adverse employment action as a result of whistleblowing activity under the Sarbanes-Oxley Act and Dodd-Frank Act. 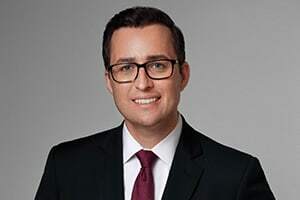 Eric Dinnocenzo has substantial experience representing injured persons in construction accident cases, medical malpractice, products liability, automobile accident, and other personal injury cases.